Emerged in the academic realm shortly after September. 9/11 terrorist attack. The incident was a wake-up call for governments to look-back for other types of international communicating and beyond classical diplomatic channels. why?, it seems that formal diplomacy did not take in consideration the huge changes occurred to the global political environment between 1991 and 2001. One most important point was the flourishing of democracies that lead the increase importance of public opinion – especially- after the fall of Soviet Union, since many new countries that gain independent adopted democracy. Another point is that formal diplomacy did not prevent terrorists who came from what thought to be allied countries, like gulf states, Pakistan, Afghanistan, Egypt, etc. this weakness in protecting national interest was due to thinking that the world is still in the 19th century, ignoring all the changes in the relations between citizens and their governments, in new more connected world. Although I gave two common definitions of what many think is the core of publomacy, but as a term, it’s not agreed between scholars. 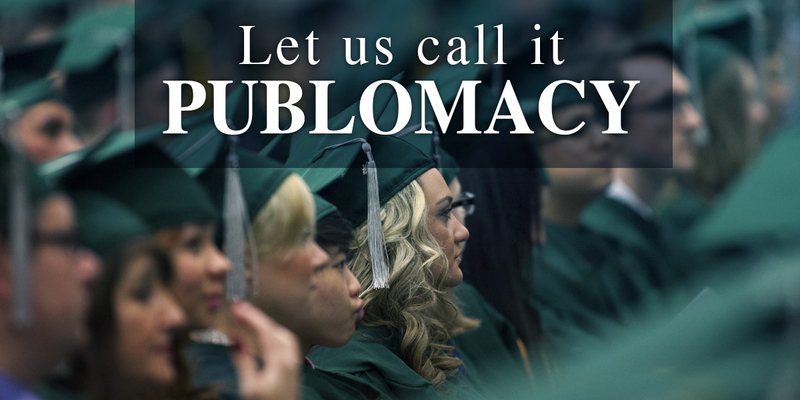 Even though the term public diplomacy was coined in 1970’s by former U.S. diplomat, Edmund Gullion. But since then, there is not a single definition that one can say this is publomacy. Simply, there are as many definitions as the number of people talked about publomacy. Some says this might be healthy for the topic, making it dynamic, which I agree with. 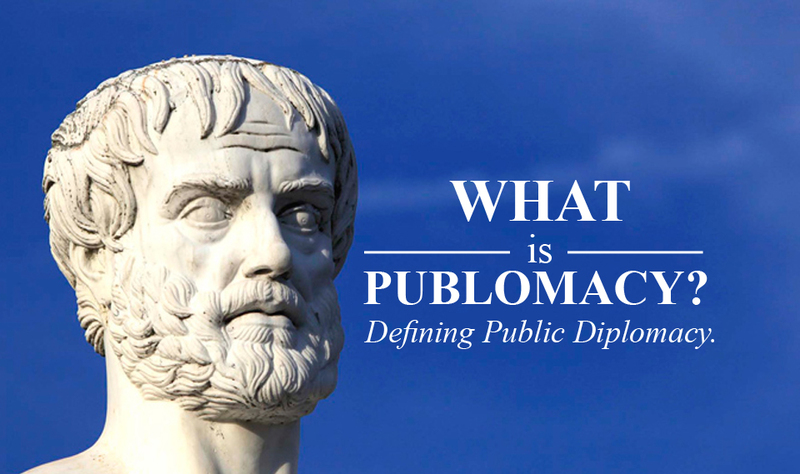 So, here I will provide the readers with all aspect of defining publomacy (public diplomacy), I will include a number of the most will known definitions of the term, that almost every student or academic persons interested in publomacy with find it through his readings. I will update this list periodically upon what I find through my readings. Hans Tuch, former Foreign Service as USIA director for the Soviet Union and Eastern Europe. “ it is ‘a government’s process of communicating with foreign public’s in an attempt to bring about understanding for its nation’s ideas and ideals, its institutions and culture, as well as its national goals and current policies”. Paul Sharp Professor of Political Science at the University of Minnesota Duluth. “The purpose of public diplomacy is to influence opinion in target countries to make it easier for the British Government, British companies or other British organisations to achieve their aims …”. “ Any government’s process of communicating with foreign public’s in an attempt to win their hearts and minds, in order to have a preferred behavioral action that supports the national interest of the initiative state”. Share the post "What is Publomacy?"